Last September, with cannabis legalization on the horizon, some members of the Arts and Science Federation of Associations (ASFA) approached the executive team with an important inquiry: If ASFA pays for alcohol for member association events, why not pay for cannabis as well? ASFA’s Advocacy and Executive Coordinator, Marguerite Rolland, said she was approached by executives from three member associations about such a policy. For a while, it looked like they might get their wish. ASFA’s policy committee began looking into ways it might design a policy that would reimburse cannabis expenses while still respecting the law. “We just wanted to make sure that if this was something that we could do and that people wanted from us, that we had a policy about it,” said Rolland. An informal survey conducted by the federation showed that a majority of member association executives—roughly 56 per cent, according to the data—felt ASFA should be reimbursing these expenses. By comparison, 27 per cent said they did not think ASFA should reimburse these expenses, with the remaining respondents having qualified opinions or no opinion at all. However, parallel to the policy committee’s research was an inquiry by the federation’s legal team. In early November, they concluded that such a policy would likely be illegal. “Under subsection 9(1)(d) of the Cannabis Act, it is prohibited for an organization to distribute cannabis,” the federation’s legal team ruled in an email to the executive team provided to The Concordian. “Furthermore, under subsection 9(2), it is prohibited to possess cannabis for the purpose of distributing it contrary to subsection 9(1).” An organization that violates these rules is “liable to a fine in an amount that is in the discretion of the court,” according to the same email. The email does say that an ASFA member can legally smoke cannabis at an ASFA event, “as long as this student is 18 years or older, that the cannabis was bought at the Société québécoise du cannabis, that the event is held outside of the university grounds,” and outside of a place restricted by law. Not every student association in the province has come to the same conclusion. The council of the Association étudiante du Cégep de Sherbrooke (AÉCS) passed a motion at the beginning of October, before cannabis had been legalized, allowing member associations to seek reimbursement for cannabis expenses, according to Radio-Canada. The AÉCS did not respond to a request for comment. 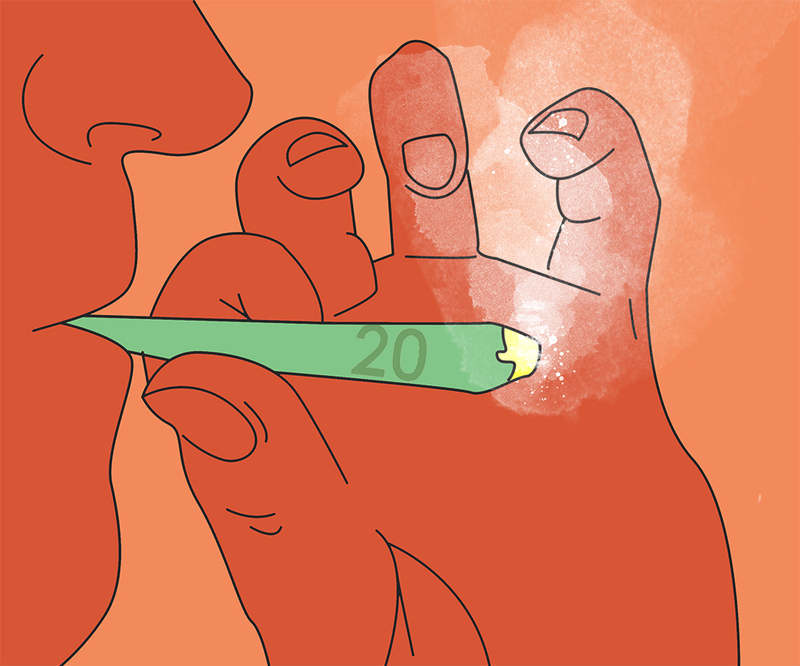 However, these expenses must be approved by the committees and associations involved, and smoking is still prohibited on campus, according to the same article. Rolland said she reached out to the other faculty associations to see if they had considered similar policies, but none were considering it at the time. None of the other faculty associations responded to a request for comment.